A 3-year-old son, struggling cafe, and fading memories are all that Robin has left of her husband. When the unnervingly handsome Ian McKay tries to buy riverfront properties, Robin refuses to sell, splitting the town's loyalty. As attraction ignites and old wounds break open, can Robin and Ian overcome the past to embrace a second chance? A three-year old son, a struggling caf&eacute;, and fading memories are all Robin Price has left of her late husband. As the proud owner of Willow Tree Caf&eacute; in small town Peaks, Iowa, she pours her heart into every muffin she bakes and espresso she pulls, thankful for the sense of purpose and community the work provides. So when developer Ian McKay shows up in Peaks with plans to build condos where her caf&eacute; and a vital town ministry are located, she isnt about to let go without a fight. As stubborn as he is handsome, Ian wont give up easily. His familys business depends on his success in Peaks. But as Ian pushes to seal the deal, he wonders if he has met his match. Robins gracious spirit threatens to undo his resolve, especially when he discovers the beautiful widow harbors a grief that resonates with his own. With polarized opinions forming all over town, business becomes unavoidably personal and Robin and Ian must decide whether to cling to the familiar or surrender their plans to the God of Second Chances. KATIE GANSHERT is the author of several novels and works of short fiction, including the Christy Award-winning books A Broken Kind of Beautiful and Life After, and Carol Award-winner, The Art of Losing Yourself. Katie lives in eastern Iowa with her family. "Have you ever been through a painful season in life and wished for something new, something fresh, or even something healing to come along? Take this journey with Robin Price, a widow and single mother with a big heart and passion for those closest to her, as she wades through trying to live, let go, and love again. Wishing on Willows is a story of hope that will find you stepping up to the willow tree and daring to make wishes." longings of the human heart. This is a fine, fine novel." "Just like a willow tree, Wishing on Willows evokes grace, humility, and beauty. A well-penned story of sacrifice, second chances, and love, Gansherts second novel is as poignant as her first. 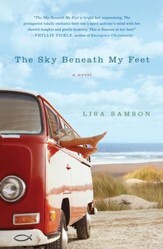 This is a must-read for any reader seeking to find comfort beneath their own proverbial willow." "In Wishing on Willows, Katie Ganshert delicately weaves together a story of healing and renewed hope. Will young widow Robin Price choose to fight for what she had or to relinquish the past for the chance to love again? Ganshert deftly writes of grief and wounds that leave us shattered, pointing her charactersand her readersto the One who provides the strength to embrace life again." 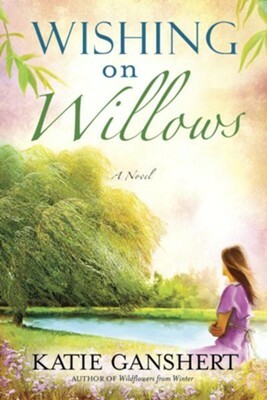 "Katie Gansherts Wishing on Willows is rich in symbolism but as down-to-earth as its Midwestern heroine, a young widow juggling the roles of single mom, business owner, and ministry volunteer. I was thoroughly drawn into her changing seasons of love and loss, memory and hope. Like a May basket left at a neighbors door, this is a generous story filled with charm and surprises." 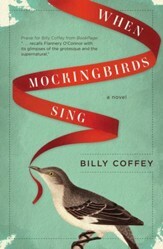 "Katie Ganshert has created an interesting cast of characters that are likable yet flawed. Fans of inspirational romance are sure to enjoy this novel." "Katie Ganshert is a fresh and powerful new voice in contemporary Christian romance. Her writing wraps itself around your heartstrings and refuses to let go." I'm the author/artist and I want to review Wishing on Willows - eBook.